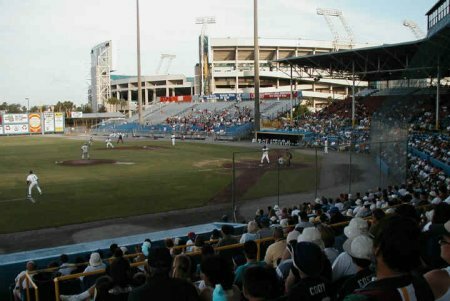 On March 16, 1955 Jacksonville's newest baseball park opened at Duval and Franklin streets replacing Durkee field as the Municipal ballpark. 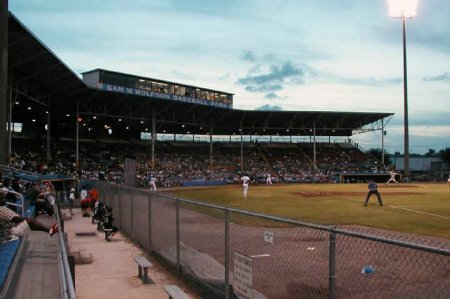 It was built at a cost of $400,000 through the efforts of Mayor Haydon Burns and along with civic leader and businessman Sam W. Wolfson who had purchased the Jacksonville Tars prior to the 1953 season. 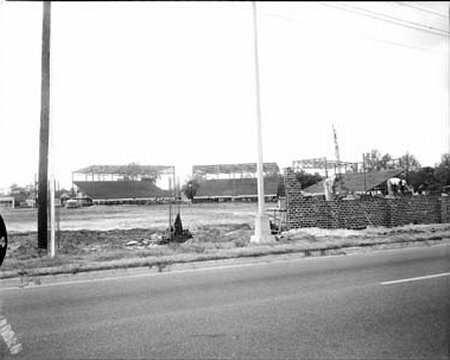 Wolfson renamed the team the Braves.1 The new park had an 8200 seat capacity and featured a spacious lower concourse leading to a seating bowl with blue box seats below the walkway, two or three rows of blue reserved seats above it, and then red seats and benches that were general admission. The whole grandstand, including the lower boxes, was covered by a roof. 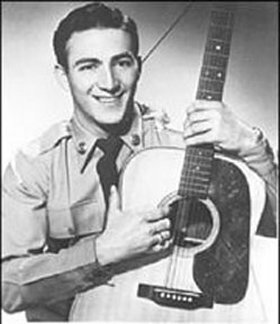 "Hank Snow's All Star Jamboree" was booked to play there for the first time on May 12th and 13th in 1955 that featured country acts Faron Young, the Wilburn Brothers and Mother Maybelle Carter and the Carter sisters. 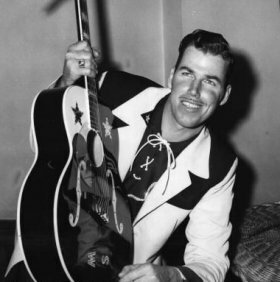 Other artists appearing on the Jamboree were Jimmy Rodgers Snow (Hanks son), Slim Whitman, The Davis sisters, Martha Carson and Elvis, Scotty and Bill who had only recently began touring with them. 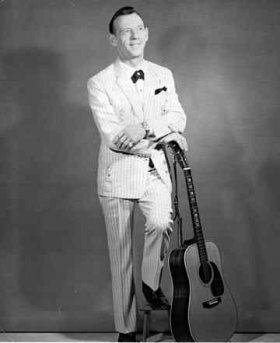 Hank Snow was the one that introduced Elvis at the Grand Ole Opry in October of 1954 and was managed by Colonel Parker at the time. 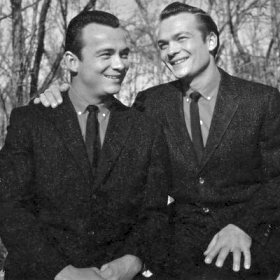 In February of 1955, Bob Neal who had recently taken over management duties of the band from Scotty arranged to have them perform with the Jamboree and have Hank and the Colonel help with the booking. 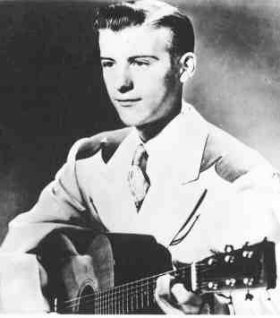 His son, Jimmy Rodgers Snow, named for Hank's hero Jimmie Rodgers, remembers working with Elvis and the band in Lubbock, Texas earlier in the year and said, "I carried the letter of intent to him to sign up with the company that dad and Parker owned. It was called Jamboree attractions. I was a member, and was booked by Parker along with several others." 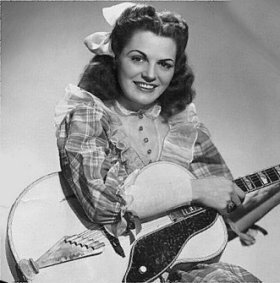 Mae Boren Axton, a Jacksonville school teacher who had done promotional work for the Colonel in the past was hired as a publicist for several of the Jamboree tour dates. Almost from the start of the touring days with the Jamboree the demand for Elvis by the kids (mostly women) over the other performers was almost overwhelming. 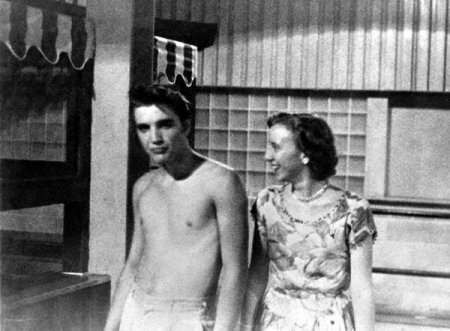 On May 13, at the ballpark at the conclusion of his performance Elvis joked with the girls in the audience "Girls, I'll see you backstage." Peter Guralnick in Last Train To Memphis wrote, "Almost immediately they were after him. The Police got him into the dugout locker room, where Mae and the Colonel were totaling up the nights receipts. 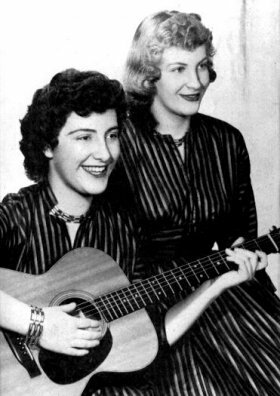 Most of the other acts were backstage too Mae recalled, when the fans started pouring in through an overhead window that had been inadvertently left open. ''I heard feet like a thundering herd and the next thing I knew I heard his voice from the shower area, I started running and three or four policemen started running too and by the time we got there several hundred must have crawled in - well maybe not that many but a lot and Elvis was on top of one of the showers looking sheepish and scared, like What do I do? and his shirt was shredded and his coat was torn to pieces. Somebody had even gotten his belt and his socks." Jimmy Rodgers Snow said the stage was setup in the middle of the field facing the bleaches with rows of chairs in front of the stage. He said the girls in the chairs in the front are the ones that pursued him. When asked if it happened on more than one occasion, he said, "Yes, just about everywhere we played it happened. Sometimes it would be more people then other times. It would depend on how large the crowd was. I know that Elvis did not invite the girls back stage anymore. I think he learned that it was not a good idea." If audio fails to play in your browser click here for mp3. 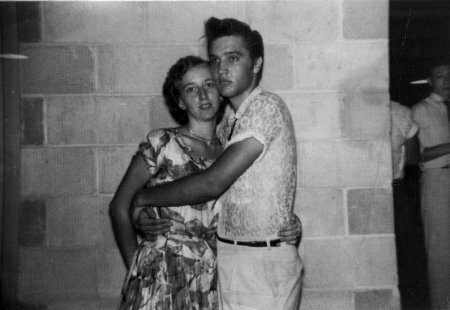 This was the point that according to the Colonel's advance man, Oscar Davis, Parker was irrevocably sold on the growth potential of Elvis Presley. 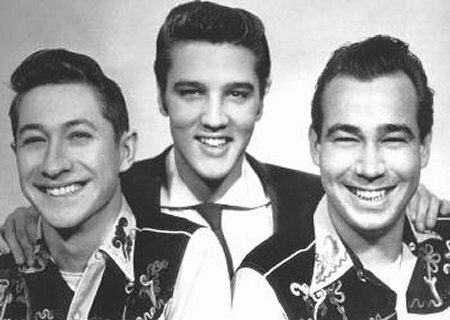 Scotty, in his book "That's Alright Elvis" recalled that almost from the beginning the Colonel started trying to separate Elvis from the band. He had tried to get Hank's band to back him and both they and Elvis refused to do that. He felt that it was because he "had Elvis' ear". 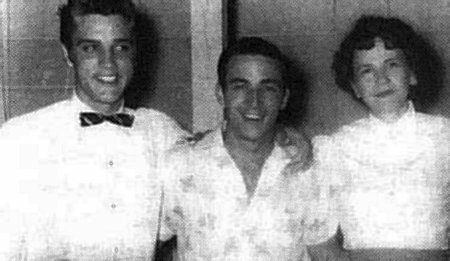 The following July when they performed at the ballpark again appearing with Andy Griffith, Ferlin Husky and Marty Robbins, the fans (girls) apparently rioted and again relieved Elvis of most of his clothing. A fan, Ardys (Bell) Clawson who had recently moved to Jacksonville from Boca Grande was in attendance both days and after the performance on the 28th saw him hiding shirtless eating ice out of one of the drink boxes under the grandstand. Her brother took pictures. Mae Boren Axton, along with Thomas Durden wrote Heartbreak Hotel in 1955 after reading about a suicide in the paper where a well-dressed man had removed all labels from his clothing, destroyed his identity papers and left a note saying: "I walk a lonely street." The next time the band performed at the ballpark, this time with DJ on drums, was in February of 1956. 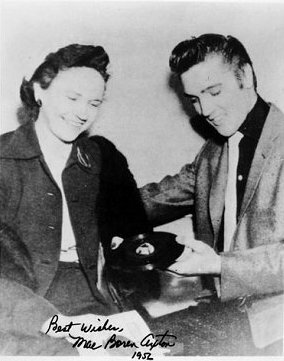 Elvis was now signed with RCA, had made a couple of Television appearances and his recording of Heartbreak Hotel was #1 on the charts. 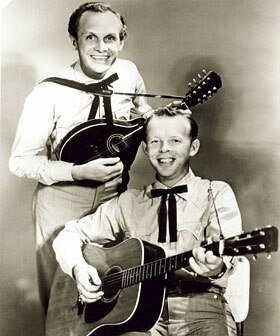 This time he was the featured performer and performed shows on the 23rd and 24th that again included the Carter Sisters and the Louvin Brothers. After his performance on the 23rd he collapsed in the parking lot, was admitted to a hospital and advised to rest. 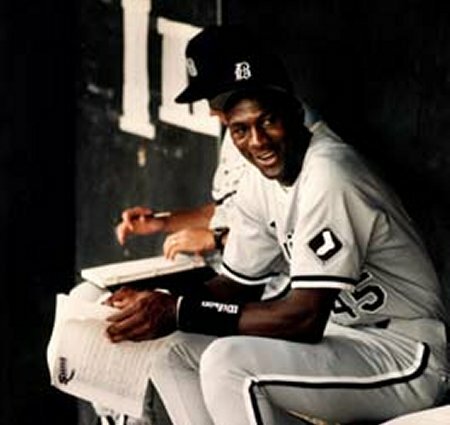 He didn't and on the following night made his final appearance at the ballpark. After 47 years the park finally had to give way to football. 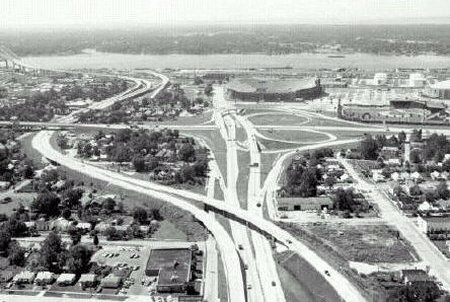 It had become obsolete and rather than renovate it was torn down in 2003 to make a parking lot for AllTel Stadium next door which had replaced the Gator Bowl. 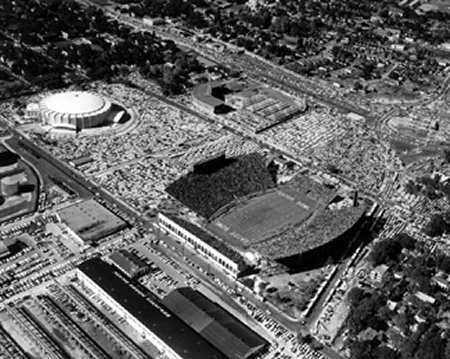 That same year Wolfson Park was replaced by a $34 million state-of-the-art facility only two blocks away. *a general misconception is that Elvis, Scotty and Bill performed at the the Gator Bowl, this is probably due in part to its proximity to Wolfson Park. Their only appearances in Jacksonville were at Wolfson park and lastly at the Florida Theater. Elvis would later perform several dates at the Coliseum with the TCB band. 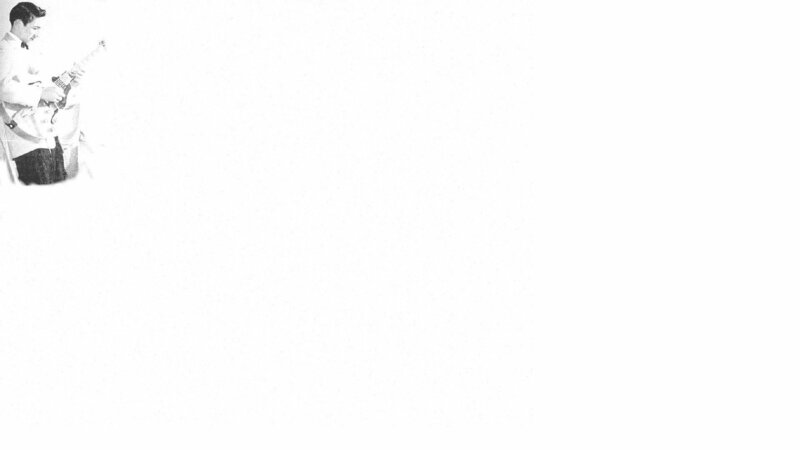 Special thanks and credit goes again to the FECC Forum for their inspiration and contributions to this page. 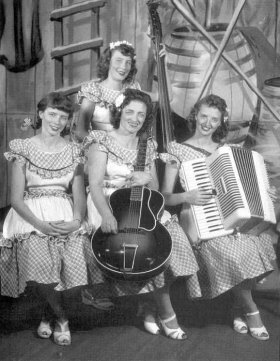 Just some of the Hank Snow Jamboree performers that Elvis, Scotty and Bill toured with.